Henry Luh, DO, FACOOG, is a highly sought-after women’s health specialist at The Ob-Gyn Center with a passion for helping women live their best possible lives. A native of Southern California, Dr. Luh trained on the East Coast and in New York before eventually settling down in Las Vegas. Dr. Luh’s education began at Johns Hopkins University in Baltimore, Maryland. He went on to complete medical school at New York College of Osteopathic Medicine. A residency at Wyckoff Heights Medical Center in Brooklyn, New York, helped him further refine his skills. One of Dr. Luh’s areas of professional focus is in minimally invasive gynecologic surgery. He performs numerous outpatient procedures using the latest in medical technology and innovative techniques. 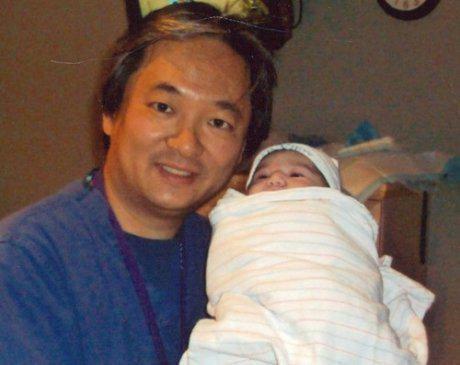 Dr. Luh is also incredibly grateful for the honor of being part of bringing new lives into the world, and is deeply fulfilled in his work in obstetrics. His personable nature and unrushed style have led many patients to introduce their friends and family to the practice. Dr. Luh is an OB/GYN who places each patient's unique set of needs and treatment goals at the forefront of every interaction. Schedule a time to meet with him to learn more about his approach to women’s health. Dr. Luh is currently accepting new patients, and loves to help women make the most of their health and wellness. Our office accepts most insurances. Please contact our office directly for any coverage-related questions. Thank you.